MetSpec instrument shelters have been proving their worth for 12 years. They are in service in Antarctica, around the Equator, on oil rig installations worldwide, and at many locations in between. With a wide range of sizes, one and two door versions, and special large screens available too, we can always cater for your needs. With tough aluminium and plastic exteriors, they offer outstanding protection from the heating effects of solar radiation and direct exposure to rain and snow. 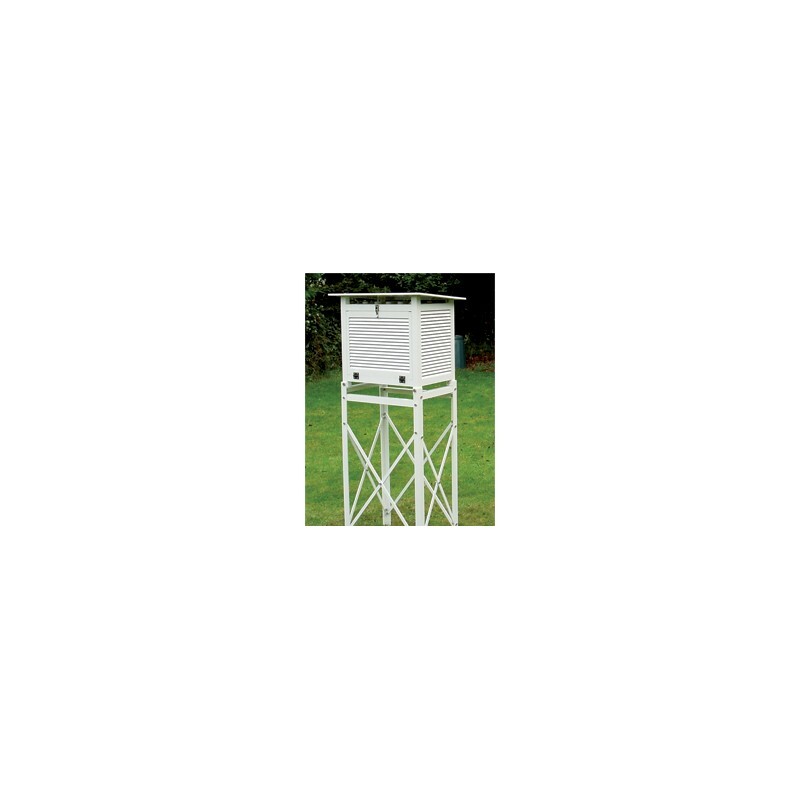 MetSpec Instrument Shelters are an established industry standard and are sold to many national meteorological services and industrial customers worldwide. They have proven to be durable over many years, and are in daily use in many countries with extreme and varied climates. Their innovative design features a durable white powder-coated frame and robust outer louvers which are resistant to UV radiation and chemical attack. The shelters feature a white outer reflective surface, combined with an inner barrier of non-reflective, black louvers. This prevents sunlight and reflected radiation reaching the sensors or thermometers, whilst still allowing air to flow across them. Inter-comparison trials have confirmed that errors under adverse conditions are significantly less than inside the old wooden Stevenson Screens. Testing of Metspec Screens has been carried out by several national meteorological services. Test reports are available upon request. 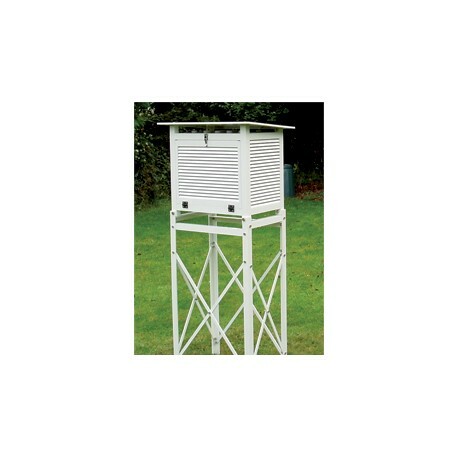 For our standard range of Screens, in conditions of high solar radiation and wind speeds less than 1 m/s the readings were compared to aspirated shields and traditional wooden Stevenson Screens. The errors were less than those recorded in wooden Stevenson and close to those in aspirated shields.